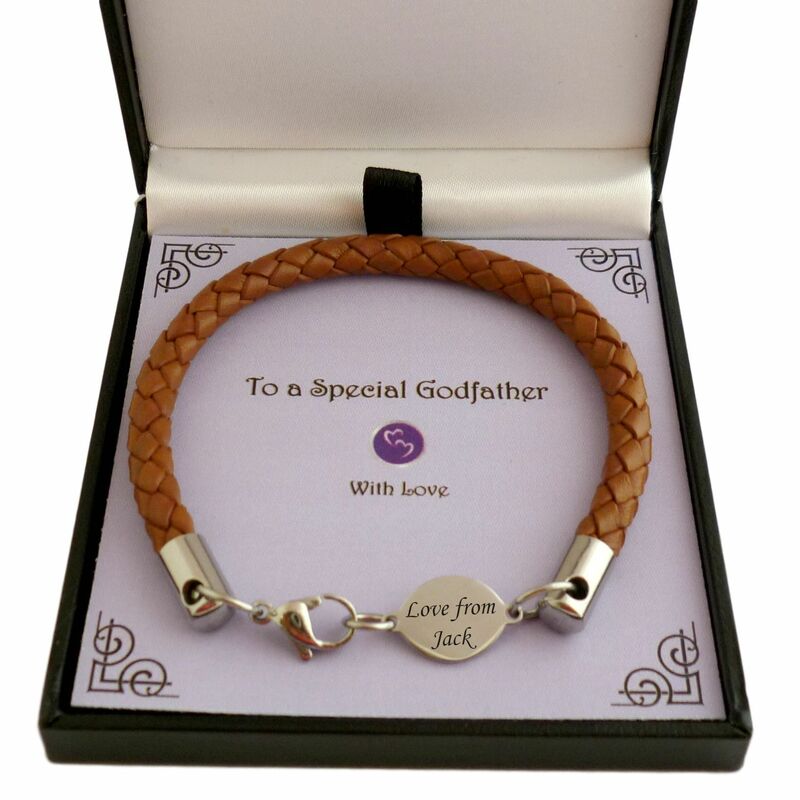 Personalised Leather Bracelet for Man or Boy with Engraved Link in Special Gift Box. Personalised this stylish plaited leather cord bracelet with free engraving on the steel link. This personalised bracelet, which is part of our range of engraved gifts for men, is ideal for adding words and messages such as: Brother, Daddy, Uncle, love from..., I love you, special dates and occasions. Made with strong braided leather cord of 5mm thickness. Metal Parts: High quality, tarnish proof stainless steel. Engraved Link Size: 14mm x 7mm. We can engrave up to 20 characters per side on the link. 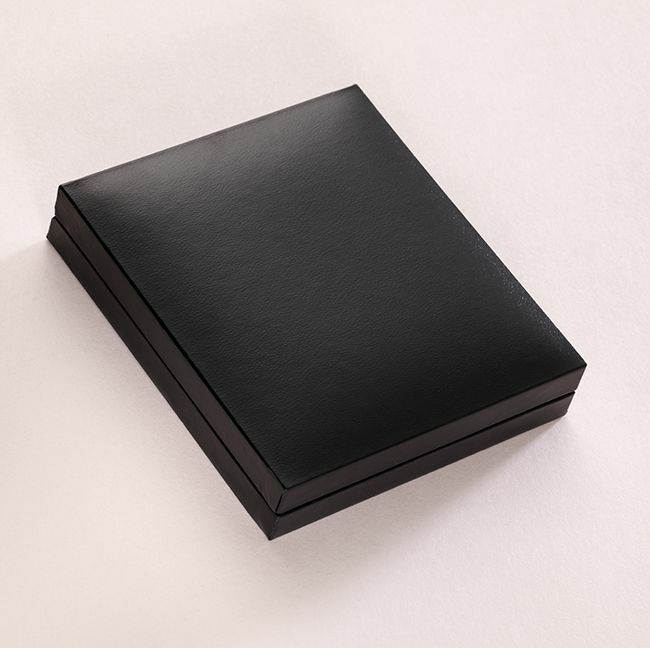 Comes packaged in a black gift box as shown. For a Special Usher, Brother, Grandson, Best Man, Boy, Daddy, Dad, Godfather, Grandson, Son, Uncle, Nephew, Page Boy, Husband, Fiance, Granddad, Son in Law or Someone Special. Leather Colours: Available in black or brown.